Rose Wieslander, the daughter of Jacob and Anna Wieslander, was born in Russia on 18th July 1879. When the marriage broke down, Anna brought Rose to the East End of London. Soon afterwards, Anna married Israel Pastor. Rose Pastor attended Bell Lane Free School but at the age of eight she found work in a Whitechapel factory. In 1891 the family emigrated to Cleveland, Ohio. According to her biographer, Judith Rosenbaum: "Rose found work in a 'buck-eye', the cigar-sweatshop in which many Jews labored. She worked as an unskilled 'stogey-roller' for twelve years. After Israel Pastor abandoned the family, she became the sole supporter of six. For those who later popularized her character in the media, this period of her life often faded to an idealized working-class experience, but for Rose herself, it stood out as formative for her identity." Rose Pastor sent regular letters to the Jewish Daily News. The editor was impressed with her contributions and in 1902 she was offered a regular column in the newspaper with a salary of $15 per week. Rose now moved to New York City and took an apartment in Lower East Side. Rose Pastor took a keen interest in politics and began a series of articles on university settlements. The movement, based on the achievements of Toynbee Hall in the East End of London, had been established by Jane Addams and Ellen Starr at Hull House in Chicago in 1889. The idea behind the movement was that people from privileged backgrounds should live amongst the poor. In 1903 she interviewed Graham Stokes, the New York City millionaire who at that time a supporter of the University Settlement in the city. James Boylan, the author of Revolutionary Lives: Anna Strunsky and William English Walling (1998), has pointed out: "James Graham Phelps Stokes... brother of the architect, Newton... was a member of one of the city's old and wealthy mercantile families; he had to look after family businesses, but his heart was with New York's social and reform enterprises, which placed him on more boards and committees than he could efficiently serve. The Stokeses were particularly important to the University Settlement; in addition to Newton's role, his sisters were part-time volunteers, and Graham himself was a member of the governing council." Rose Pastor was very impressed with what Stokes had to say and became a volunteer worker at the settlement. The couple were married in July 1905 and moved to a house in Greenwich, Connecticut. Later that year the couple joined the Socialist Party of America. Other members included Eugene Debs, Victor Berger, Ella Reeve Bloor, Emil Seidel, Daniel De Leon, Philip Randolph, Chandler Owen, William Z. Foster, Abraham Cahan, Sidney Hillman, Morris Hillquit, Walter Reuther, Bill Haywood, Margaret Sanger, Florence Kelley, Mary White Ovington, Helen Keller, Inez Milholland, Floyd Dell, William Du Bois, Hubert Harrison, Upton Sinclair, Agnes Smedley, Victor Berger, Robert Hunter, George Herron, Kate Richards O'Hare, Helen Keller, Claude McKay, Sinclair Lewis, Daniel Hoan, Frank Zeidler, Max Eastman, Bayard Rustin, James Larkin, William Walling and Jack London. 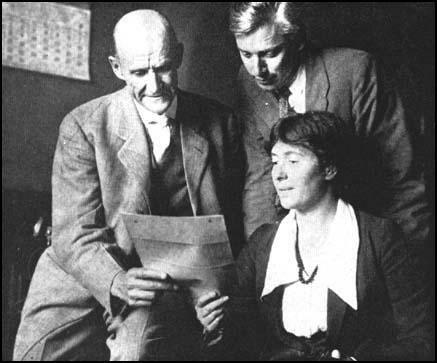 In September 1905, Rose Pastor Stokes and Graham Stokes joined with Upton Sinclair, Jack London, Clarence Darrow and Florence Kelley to form the Intercollegiate Socialist Society. The main objective of the organization was to encourage study and discussion of socialism in colleges. Rose continued work as a journalist and was a regular contributor to the The Masses and The Call. Although Rose Pastor Stokes was now extremely wealthy she remained a committed socialist. As Eugene Debs pointed out: "She had her millions of dollars at command. Did her wealth restrain her an instant? On the contrary her supreme devotion to the cause outweighed all considerations of a financial or social nature. She went out boldly to plead the cause of the working class." On the outbreak of the First World War most socialists in the United States were opposed to the conflict. They argued that the war had been caused by the imperialist competitive system and argued that the America should remain neutral. 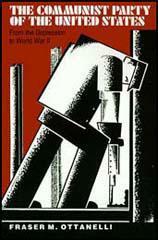 This was also the view expressed in the three main socialist journals, Appeal to Reason, The Masses and The Call. Rose Pastor Stokes was also involved in the struggle to keep the United States out of the war. Graham Stokes disagreed with her on this issue and along with his friends, William English Walling, Jack London, Charles Edward Russell, John Spargo and Upton Sinclair, thought that President Woodrow Wilson should send troops to fight the German Army in Europe. Stokes began to attack those in the the American Socialist Party who opposed the war as really being secret supporters of Germany. Emma Goldman was furious with Graham Stokes and other pro-war socialists and wrote in Mother Earth: "The black scourge of war in its devastating effect upon the human mind has never been better illustrated than in the ravings of the American Socialists, Messrs. Russell, Stokes, Sinclair, Walling, et al.... As to English Walling, he was the reddest of the red. Though muddled mentally he was always at white heat emotionally as syndicalist, revolutionist, dissenter, etc... One might overlook the renegacy of a Charles Edward Russell. Nothing else need ever be expected from a journalist. But for men like Stokes and Walling to thus become the lackeys of Wall Street and Washington, is really too cheap and disgusting." Rose Pastor Stokes continued her campaign against the war. On 22nd March, 1918, she was arrested and charged under the Espionage Act. She was accused of making anti-war speeches but the authorities were especially upset by a letter she sent to Kansas City Star where she argued: "No government which is for the profiteers can also be for the people, and I am for the people, while the government is for the profiteers.” She was found guilty and sentenced to ten years in prison. Stokes’s conviction was appealed twice before the decision was reversed in March 1920, on the grounds that the charge to the jury was prejudicial against the defendant. Rose Pastor Stokes experiences moved her to the revolutionary left. The right-wing leadership of the Socialist Party of America opposed the Russian Revolution. On 24th May 1919 the leadership expelled 20,000 members who supported the Soviet government. The process continued and by the beginning of July two-thirds of the party had been suspended or expelled. In September 1919, Rose Pastor Stokes, Jay Lovestone, Earl Browder, John Reed, James Cannon, Bertram Wolfe, William Bross Lloyd, Benjamin Gitlow, Charles Ruthenberg, Mikhail Borodin, William Dunne, Elizabeth Gurley Flynn, Louis Fraina, Ella Reeve Bloor, Juliet Poyntz, Nathan Silvermaster, Jacob Golos, Claude McKay, Max Shachtman, Martin Abern, Michael Gold and Robert Minor, decided to form the Communist Party of the United States. Within a few weeks it had 60,000 members whereas the Socialist Party of America had only 40,000. Graham Stokes did not share his wife's communist beliefs. Rose suggested they had become "friendly enemies". In 1925 her husband brought a petition for divorce on grounds of misconduct. In 1925 Rose became involved with Victor Jerome. At the time he was twenty-nine and she was forty-seven. Stokes wrote to Jeanette Pearl about the new man in her life: "I'm interfering with his studies and I'm afraid he's interfering with my peace of mind.... I'm mighty near being at that extent that I shall lose all sane judgment. Don't fall in love, Jean. It's an enslaver of life." The couple married in February, 1927. In 1929 Rose was seriously injured when clubbed by police at a demonstration demanding the withdrawal of U.S. forces from Haiti. According to a report in the Daily Chronicle Rose "was struck while attempting to protect a young boy from a policeman". According to Judith Rosenbaum: "In 1930, Stokes was diagnosed with a malignant breast tumor, which she attributed to having received a blow on the breast from a policeman’s club during a demonstration - claiming martyrdom for the proletarian cause. Her health rapidly declined; even so, she maintained her radical, fighting spirit. Although her illness prevented her from remaining active in the Communist Party during the last years of her life, she continued to assert her allegiance to it." 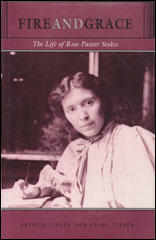 Rose Pastor Stokes moved to Germany to have radiation therapy but died in Frankfurt on 20th June, 1933. Rose Pastor Stokes! And when I mention her name I take off my hat. Here we have another heroic and inspiring comrade. She had her millions of dollars at command. Did her wealth restrain her an instant? On the contrary her supreme devotion to the cause outweighed all considerations of a financial or social nature. She went out boldly to plead the cause of the working class and they rewarded her high courage with a ten years' sentence to the penitentiary. Think of it! Ten years! What atrocious crime had she committed? What frightful things had she said? Let me answer candidly. She said nothing more than I have said here this afternoon. I want to admit - I want to admit without reservation that if Rose Pastor Stokes is guilty of crime, so am I. If she is guilty for the brave part she has taken in this testing time of human souls I would not be cowardly enough to plead my innocence. And if she ought to be sent to the penitentiary for ten years, so ought I without a doubt. What did Rose Pastor Stokes say? Why, she said that a government could not at the same time serve both the profiteers and the victims of the profiteers. Is it not true? Certainly it is and no one can successfully dispute it. Roosevelt said a thousand times more in the very same paper, the Kansas City Star. Roosevelt said vauntingly the other day that he would be heard if he went to jail. He knows very well that he is taking no risk of going to jail. He is shrewdly laying his wires for the Republican nomination in 1920 and he is an adept in making the appeal of the demagogue. Rose Pastor Stokes never uttered a word she did not have a legal, constitutional right to utter. But her message to the people, the message that stirred their thoughts and opened their eyes - that must be suppressed; her voice must be silenced. And so she was promptly subjected to a mock trial and sentenced to the penitentiary for ten years. Her conviction was a foregone conclusion. The trial of a Socialist in a capitalist court is at best a farcical affair. What ghost of a chance had she in a court with a packed jury and a corporation tool on the bench? Not the least in the world. And so she goes to the penitentiary for ten years if they carry out their brutal and disgraceful graceful program. For my part I do not think they will. In fact I feel sure they will not. If the war were over tomorrow the prison doors would open to our people. They simply mean to silence the voice of protest during the war. The celebrated American-dream marriage between wealthy Graham Stokes and Rose Pastor, the one-time immigrant cigarmaker, was ruptured by the war. Graham Stokes took the lead in organizing the prewar socialists. Rose Pastor initially followed him out of the Socialist Party, but soon regretted her decision and then metamorphosed after the authorities blunderingly indicted her under the Sedition Act for a mildly critical speech on war profiteers. She ultimately became a pioneer in the budding American Communist Party. The political division between them, and its personal accompaniments (she wrote to Anna that Graham's "puritanism... made what came inevitable") set them irrevocably on the road to divorce, which took place in 1925. Two women of world-wide fame died yesterday - Rose Pastor Stokes (Rose of the Ghetto) and Clara Zetkin (Red Clara). Friends of Mrs. Rose Pastor Stokes asserted here today that her death was due to blows from a policeman's truncheon received in this city a few years ago during a demonstration against the occupation of Haiti by American Marines. "Rose of the Ghetto" was struck while attempting to protect a young boy from a policeman". The daughter of poor Russian immigrants who married the New York millionaire, Phelps Stokes, was a Communist at the time of her death. Before going to New York, Rose's family lived in the East End of London, arriving from Russia with when Rose was seven. She worked as a cigarette-maker in a Whitechapel factory, often being reduced to the greatest poverty and semi-starvation.